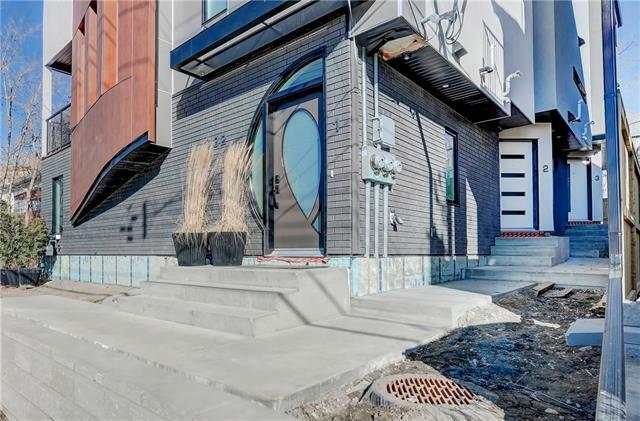 **Open House Sun Apr 14 230-4pm**Only ONE unit left. 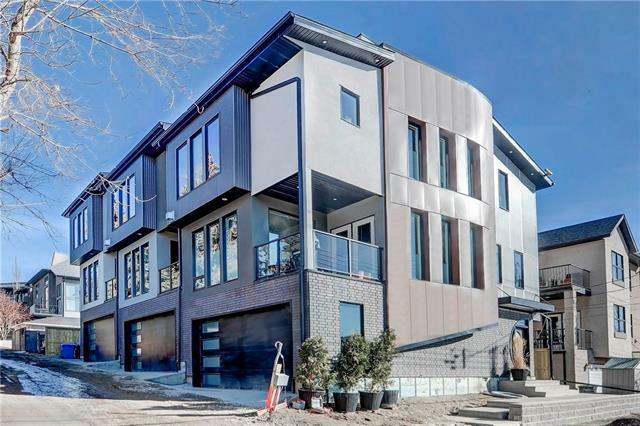 The Terraces of Bridgeland featuring STUNNING CITY VIEWS, ROOFTOP PATIO, AND 2 CAR ATTACHED GARAGE. DESIGNED TO FIT YOUR LIFESTYLE, WALKING DISTANCE TO DOWNTOWN. FUNCTIONAL WITH TIMELESS ELEGANCE throughout this MODERN INNER CITY HOME. OPEN CONCEPT MAIN FLOOR WITH ELEGANTLY DESIGNED KITCHEN THAT FEATURES QUARTZ COUNTERS, CUSTOM CABINETS, AND A LARGE ISLAND. UPSTAIRS HAS A LARGE MASTER BEDROOM WITH WALK IN CLOSET AND ENSUITE, LAUNDRY, A LARGE 2ND BEDROOM, AND FULL WASHROOM. 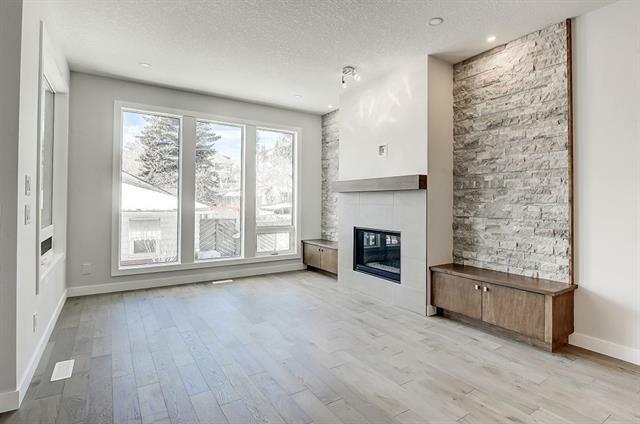 LIVING ROOM FEATURES A FIREPLACE WITH CUSTOM BUILT IN CABINETRY AND FEATURE ROCK WALL. 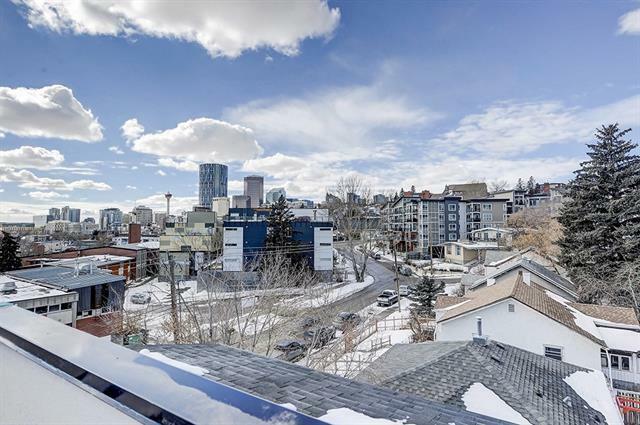 THE HIGHLIGHT OF THE HOME SITS ON THE ROOF WITH A PATIO WITH SPECTACULAR CITY VIEWS AND ENDLESS ENTERTAINMENT. QUALITY BUILD WITH ENERGY EFFICIENCY SUCH AS TRIPLE PANE LUXE WINDOWS, IN-FLOOR HEAT AND ENERGY STAR APPLIANCE PACKAGE.